This special podcast is brought to you by BDO South Africa. I’m Ricardo Teixeira, Chief Operating Officer for BDO Wealth Advisers. Ricardo, thanks for chatting to me today. The budget was delivered last week. Let’s just dive into some of the aspects that impacted individuals. What are some of the key takeaways when it comes to income tax, estate duty, and donations tax? Gareth, I think the starting point is that the fiscus has looked to raise revenue and close the deficit that we have within Treasury. And among the three taxes that you’ve alluded to that were impacted are income, capital, and estate duty taxes. Those changes have largely resulted in increasing the tax burden for the high net-worth individual. In addition, we now have a super tax rate bracket in SA, which is taxing individuals at the 45% that has remained unchanged as well. The brackets haven’t been adjusted for inflation and, as a result, any individual that earns a taxable income in excess of R500k is carrying a larger portion of the burden of the tax collection, going forward. Ricardo Teixeira, Chief Operating Officer for BDO Wealth Advisors. Then there’s also stealth taxes, such as the excise duty on luxury items and also the VAT increase. That’s right, they’re looking at widening the tax collection for revenue and targeting a very small segment of the taxpayer population that is perceived to have the means to actually share more with the state. That’s really the essence of the concept of a wealth tax that’s been bandied about. It’s really trying to tax more from the few taxpayers that are able to contribute to the fiscus. Just to also take a step back, I think the good news is that capital gains tax has remained largely unchanged, year-on-year, and that is an element of wealth tax. It has proved to be quite a good mechanism for tax collection revenue. That has remained unchanged, so the inclusion rates haven’t changed, as well as the effective rates of capital gains. The estate duty and donation tax changes I think were quite meaningful in that that they bring in an element of a wealth tax that, in essence, targets collecting more taxes from those who can afford it. Bringing it within the limit of the R30m mark indicates we’re moving in a direction whereby we recognise that wealthy individuals should be paying a higher burden of tax or should be contributing proportionately more to their affordability in raising revenue for the fiscus. So, those two changes are quite meaningful. I think the changes will impact on how wealthy families deal with their wealth in terms of transferring wealth between generations and between family beneficiaries. We may see that we’ll have regular donations to avoid reaching the R30m mark, and maybe even incurring a 20% donations tax at lower levels as opposed to waiting for a 25% tax on an estate, or higher in the future. There’s also other vehicles like these 12J investments, which seems to becoming more and more popular. Do you think that taxpayers, especially in the wealthier brackets, will look increasingly towards those as well? Correct, and our experience at BDO has shown that our clients are looking for solutions to be more tax efficient. However, as an individual, there’s not many options in terms of what one can look at in terms of being efficient in your tax affairs. So, allowances and opportunities, like investments in private equities, that do allow for a 100% deduction in year-one are very attractive. Naturally, from a wealth planning perspective, or looking at your investment strategy, there are other considerations around it other than just the tax. But the principle is very attractive and we are seeing an increasing momentum and trend towards considering those allowances. Now, Ricardo, there’s also changes in the budget regarding Trust Attribution Rules and qualifying venture capital investments. What are some of the key takeaways from that? What we’re seeing is that the Trust Attribution Rules actually were unaffected. So, Trust Attribution Rules really refer to what is largely termed the Contrary Principle, which allows for income and capital to flow through a Trust to a donor, as opposed to being trapped in a Trust. I think that is very attractive, if one considers having a Trust as a vehicle for effective planning and tax planning because it does allow for more efficient taxation of income and capital. If we really want to change the attribution rules, I think that would materially change the attractiveness of Trusts and how one can use it in family wealth planning. I think, right now, if we just pause and look at the effective tax rates – just looking at income, both in individual tax and a Trust. Pretty much, income is taxed on par — whether it’s tax within a Trust or an individual. However, if you’re looking at capital. 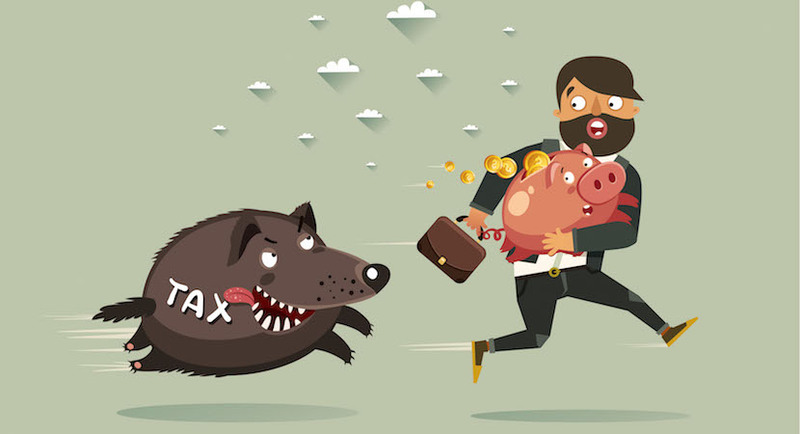 Capital that’s trapped in a Trust is taxed at a much higher effective rate of about 36%, as opposed to the 18% in an individual on capital gains. Just that alone is quite an attractive arbitrage that is still available to individuals for their tax claiming purposes. What about the wealth tax? That still seems like it’s on the horizon – do you think it could have a big impact in years to come? Reflecting on the budget and reflecting on what levers revenue Treasury has available to actually close the gap. I think there’s not many. If we just focus on the revenue element to it – I think fiscus is caught in a very tough position right now where both individual tax rates, personal tax rates, as well as company tax rates, effective tax rates are at globally high levels. So, to start increasing the effective tax rate that an individual contributes towards Treasury and towards the revenue collection, we then risk getting to a point where you might be tipping the scales of tax morality. It then begs the question: If I’m going to be taxed so much, how do I look for options to limit that tax? That could drive behaviour, which would then decrease overall tax collection for Treasury and for the fiscus. The concept of a wealth tax I think is banded about because of the fact that there is this growing gap between the haves and have nots, not only in SA but globally. I think the writing by Thomas Piketty has aided in that conversation about how the wealthy should pay a proportion to their affordability. But it does come a point where, in actual fact, it tips the scale in the opposite direction. I think that’s really where this concept of wealth tax is engrappled with by the Davis Tax Committee and their proposals to Treasury. So, the concept of wealth tax hasn’t’ been crystallised yet. But what we are seeing is definitely taxes on income, capital gains tax, Estate Duty, Transfer Duty of properties, and donations tax. These are five cornerstones of tax on wealth, and it’s those tax mechanisms that will form what we largely refer to as wealth tax. Therefore, another category of wealth tax could be very punitive for the taxpayer. If I may add, the arbitrage currently between a company’s tax rates — as well as the effective tax rates on income and capital gains within a company — as compared to the effective rates of income and capital within the hands of an individual, in personal income tax, is very narrow and that’s a good thing. This is because it doesn’t create a national arbitrage or inclination to channel income or capital from one mechanism to another. If the fiscus was to tinker with those rates we could, you could have a situation where you would be incentivised to then channel your wealth and your income from personal hands into company hands. In light of all of this, what are the options left for higher earning individuals, in terms of efficient tax planning in SA right now? It seems as if everybody is being squeezed. Correct, you’ve mentioned one and that’s looking at tax deductions. So, investments into venture capital approved schemes are very attractive. They allow 100% deduction over five years. So, that would be an obvious one. I think a couple, which are less obvious, would be looking at realising your capital gains during your lifetime. Very often we find at BDO that clients are averse to realising capital gains on their investments that they’ve made over time. Yet, when you just stack up the numbers there’s a good argument to be taken advantage of the annual allowance, as well as the average rate of tax in any particular year, as opposed to deferring capital gains. I think there’s one very key strategy we see and that’s donations tax, which I mentioned earlier. I think the different levels now of donations tax coming in at the R30m mark does create an incentive to use that, if your Estate does fall within that bracket. If you start looking at considering donations tax at a lower rate and saving the 5%. Another link to donations is that of interspousal donations between families. So, between spouses, donations are exempt, and that’s quite an effective way of spreading the tax burden or the tax base in a family. Then the golden one and that’s the retirement annuity as the new Trust vehicle. In March 2015, the allowances were increased to allow for up to R350k of taxable income being allowed to be deducted for contributions to retirement funds, or 27.5% of your taxable income. That’s a great incentive in terms of tax planning, putting it into a retirement vehicle. Unfortunately, what’s very seldom understood by South Africans is the fact that their retirement annuity is a tax-exempt vehicle and all income earned, as well as capital gains, within the retirement vehicle actually are exempt during the term of that retirement annuity. It’s only really taxed once you convert it into a living annuity and you’re drawing a pension, but everything else is tax free. Furthermore, the retirement annuity is protected from creditors so you have this mini-trust vehicle, which creditors can’t attack in the possible event of your insolvency. For an entrepreneur or a business owner, the retirement annuity actually would be quite an attractive vehicle as opposed to a Trust for someone to actually create wealth, store wealth, and transfer wealth to their beneficiaries. My favourite is that retirement annuities are also exempt from Estate Duty so; you land up shielding all four tax mechanisms that you really would use to collect revenue. You actually land up shielding your wealth in a retirement annuity. That’s very interesting. So, in the age of passive investing and ETFs, are RAs then possibly overlooked? They are, and often our approach at BDO has been to challenge our clients to look at retirement annuities in a different light. We’ve had instances where we have retired clients who are in their 80s, and are investing into retirement annuities. It sounds quite bizarre but when you actually run up the calculation or the numbers, and you look at the benefits of it – you still have access to your capital. You’re still transferring wealth to your beneficiaries, and you’re getting the tax deduction as well as shielding the taxability of that wealth, going forward. Ricardo, just as a last question, we’ve had big Cabinet changes this week. We’ve got a new Finance Minister, Nhlanhla Nene. How do you think that he will approach the hot topic of tax in years to come? I do believe that under Cyril Ramaphosa, we would look proactively and intelligently look at how we can actually close the revenue gap, or the deficit that our country faces as a result of all the mismanagement that we’ve come through. When we look at the Minister of Finance Nene now coming into the role, I do believe that policies will be a lot more progressive. Maybe ‘progressive’ is not the right word but I think we’ll have smarter ways of collecting revenue, like we’ve seen with the VAT increase. I think it’s a very effective way of increasing revenue and spreading the load across SA, as opposed to targeting a single band. But I don’t envy his job because I do believe that it is going to be a challenging role. I think, in conclusion, I would say that largely it’s the policies that’s been set by leadership and by government which will, hopefully, be effective for us as a country. Great, Ricardo, it’s been a fascinating discussion. Thank you so much for taking the time to chat to me today. Lovely, Gareth. Thanks for the conversation.